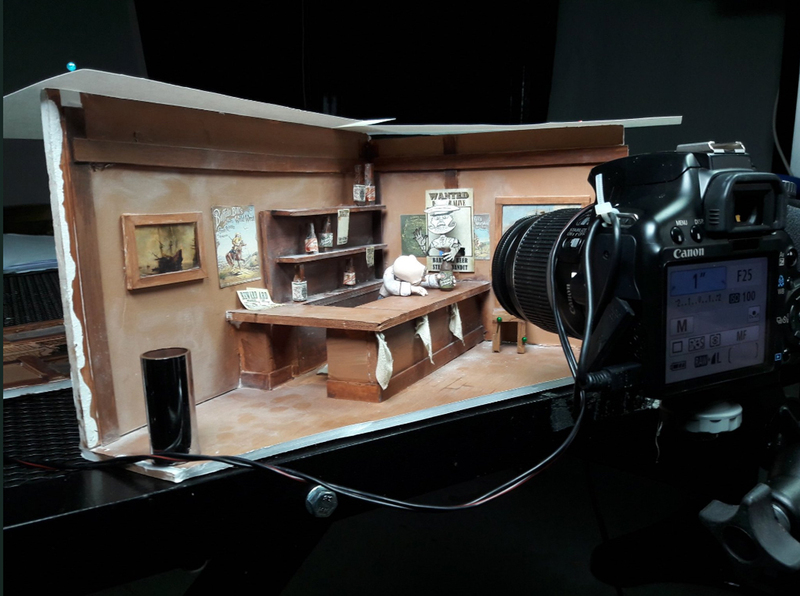 This set maquette on an old western saloon was completed in two days for a university project. Made with predominantly foam board and acrylic paint. I later produced a stop motion film utilizing the maquette. Although wood would have been a more suitable material to build the set with, the foam board served me well enough for this smaller scale project. Originally from down under, Gus has professional experience as a sculptor, model maker, animator, illustrator and performing artist. He has recently enrolled into Staffordshire University to study stop-motion animation and puppet making to further develop himself by focusing all his previous skills into one future career. He has previously received a Level 3 National Diploma in Creative Media Production (D*DD) and an HNC in Performing Arts (D) at the City of Liverpool College. He is currently seeking student work placements so hire him today!